Brassica manufactures TrueBroc® glucoraphanin for use in its tea and coffee. 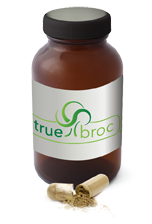 TrueBroc® is also sold as a nutritional ingredient for use in dietary supplements and functional foods and beverages. Gourmet teas with TrueBroc® branded glucoraphanin from broccoli, gives you all of the health benefits of tea plus the goodness of broccoli – without the broccoli taste! 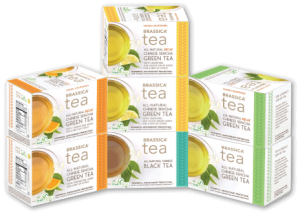 Visit our Store to purchase Brassica® Tea. We have 7 great tasting flavors! 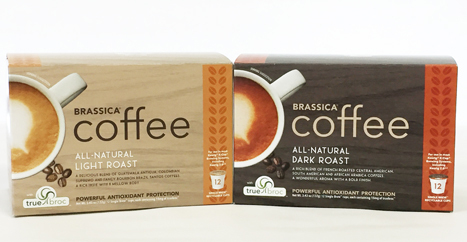 Brassica® Coffee is available in all-natural light and dark roast coffees. Brassica® Coffee light roast features a blend of Guatemala Antigua, Colombian Supremo and Bourbon Brazil Santos coffees. The dark roast variety delivers a blend of French roasted Central American, South American and African Arabica coffees. Just as fruits and vegetables are overflowing with antioxidants, coffee beans contain antioxidants too, supporting overall health. Visit our Store to purchase Brassica® Coffee. Brassica works with many quality supplement manufacturers. Visit our product locator page on our consumer site, truebroc.com, to learn more.